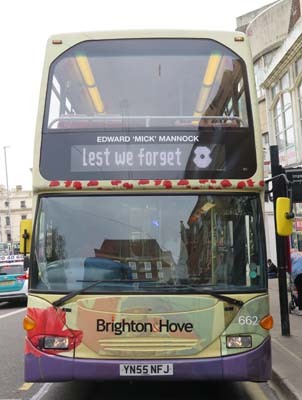 Connections with Brighton and Hove : One of the greatest pilots of the First World War achieved his success despite being blind in one eye. Edward 'Mick' Mannock was born in Ballincollig, County Cork Ireland in 1887 and caught the infection that led to the loss of sight in one eye when he was a boy. He flew with the Royal Flying Corps after war broke out, rapidly gaining a reputation as a talented pilot, and was awarded the Military Cross. 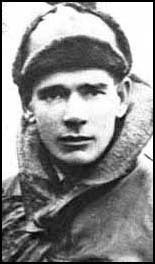 Mannock became Flight Commander of 74 Squadron and was shot down in July 1918, only months before hostilities ended. He was awarded a posthumous Victoria Cross. He invented tactical manoeuvres involving more than one plane, often practising them with friends. He probably shot down more enemy planes than any other ace during the war. His score of 73, sometimes disputed, was only seven behind the tally of the German Red Baron. Despite his heroism and skill, Mannock was virtually unknown after the war and was brought to people’s attention by his friend, Colonel Taffy Jones, who wrote a biography in 1935. Mannock, who came from a poor family, joined the Labour Party before the war and was a prickly character, not always popular with his colleagues. But his skill and daring were undoubted. He always carried a loaded pistol to use on himself in case he was ever shot down in flames. But when he heard the Red Baron had died, he said: 'I hope he roasted all the way down'. Mannock was promoted to Major and took over 85 Squadron shortly before his death which occurred in France. His plane was struck by machine gun fire as it was following a German plane to destruction. The citation for his VC said he was an outstanding example of fearless courage, remarkable skill, devotion to duty and self sacrifice which has never been surpassed. The Air Cadet building in Preston Barracks was named in his honour. 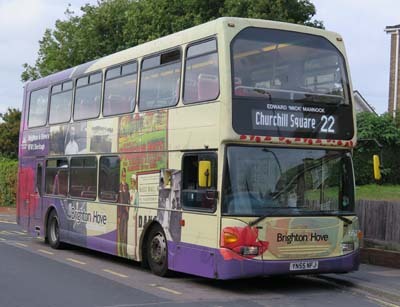 662 Scania Omnidekka name added July 2018 originally on 912 Scania Omnidekka.